09/04/2018 Mickelson Cabinets is pleased to serve the residents of Spokane Valley and other states by offering them high-quality cabinets and accessories they can depend on to make their homes and businesses look amazing and be fully functional. The company was established in 2016 and is a business-to-business wholesaler, which helps them ensure people’s kitchen cabinets are nothing but the best. At Mickelson Cabinets, the professional designers know how important it is to their clients for their cabinets to be not only appealing, but functional as well. They take extreme pride in their work and also in the fact they offer their cabinets and accessories at prices that will fit almost any budget. These cabinets can be bought online and shipped to many states. They also offer solutions in accessories, such as storage solutions, molding and accents. When it comes to cabinets and accessories, Mickelson Cabinets is at the top of the game and the premier dealer in the area. For more information on cabinets and accessories, visit the website of Mickelson Cabinets or call 1-509-608-3212. 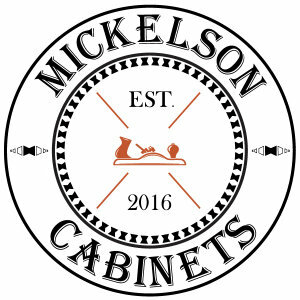 About Mickelson Cabinets: Mickelson Cabinets was founded in 2016 and is a family-owned company based out of Spokane Valley, WA. They are known for delivering high-quality products in a short timeframe and are dedicated to bringing only the best cabinets and accessories to the clients they serve.